Best Prices and Best Service of Heavy Duty Truck and Trailer Parts Servicing Local Massachusetts and the Surrounding New England Areas. To help keep your trucks, trailers, and transit in action by providing a customer friendly parts department that will go the extra mile for your company, who offers everything from marker lights to brake shoes and drums, to trailer body parts, and everything in between. Transportation is the backbone of America, and Fleetway Heavy Duty Parts enables Massachusetts fleets to stay on the road. We offer free delivery to our established clients, in addition we will ship anywhere in the country, so contact us so we can get your account setup. 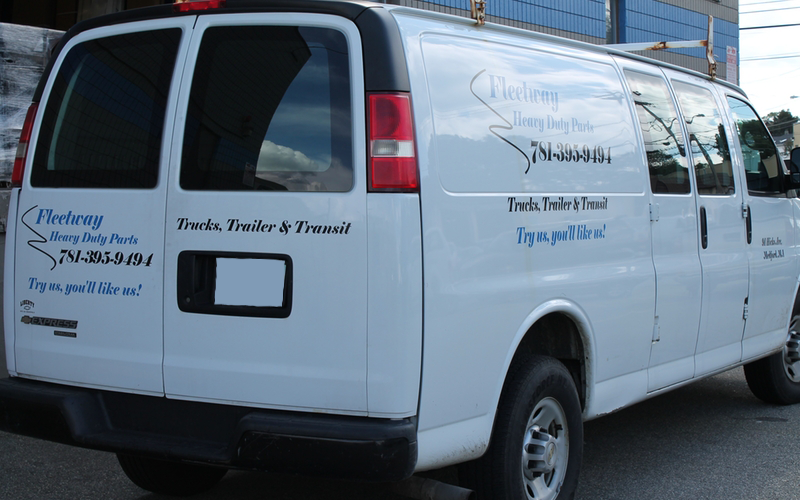 It does not matter if you have one truck or a large fleet, Fleetway Heavy Duty Parts is here to serve! We are the areas official providers of Aurora, Stoughton, Fruehauf, Hyundai, Transcraft, and Lufkin. Need More Options? Call us, we have them. We have been serving the greater Massachusetts area for over 15 years. Our selection of parts is the best, and we have the records to prove it. Our staff is committed and experienced, that is why we are #1. Now under new management, Fleetway Heavy Duty Parts is ready to serve you! Get the latest updates and specials delivered to your inbox.